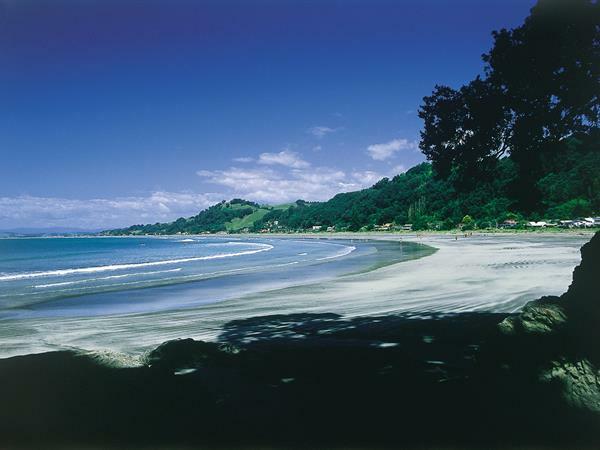 Just 10 minutes away from Awakeri Hot Springs, Whakatane, is a beautiful and increasingly popular beach-side town. Enjoy browsing the shops, museum or galleries, or grab a great coffee and a big brunch at one of Whakatane’s charming cafes. For a real taste of Whakatane, create a treasured memory and head off into the blue with a tour guide to watch and swim with dolphins. This is a great Bay of Plenty activity for groups! There are also excellent surf breaks along Whakatane’s East Coast, with excellent waves for any level of surfing. Ohope (just 20 minutes from Awakeri Hot Springs and Holiday Park) is a gorgeous beach town – the perfect place to spend a summer’s day with the family. Relax in the sun, swim, surf and watch the kids having the time of their lives. Take an hour to stop by the Ohiwa Oyster Farm and eat your fill of mouth-watering, fresh oysters! Head back to Awakeri Hot Springs for an evening dip in our legendary Awakeri Hot Pools! Tours of White Island, the live marine volcano, depart daily from Whakatane. This one day trip is not to be missed. Take a journey with Peejay Tours to this giant of the sea. Walk over a lunar landscape, right on an active volcano - seeing sulphuric holes, colonies of birds, historic mining remains, craters and more. The beauty and power of White Island must be seen to be believed.